These attention-grabbing units can hang from any available space. 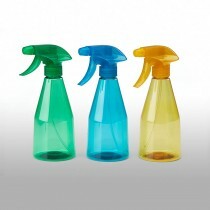 Our circle racks can be easily restocked to showcase the latest spray bottle style. All items below are available on circle racks.